Smart buildings are flexibly connected and interacting with the energy system, being able to produce, store and/or consume energy efficiently. The leading countries in terms of a smart-readiness, Sweden, Finland, Denmark and the Netherlands, have implemented enabling policies. But most countries show little progress in opening the market to demand response or in encouraging the penetration of energy storage capacity in buildings. The report presents a series of progressive policies and innovative front- runner projects which prove the economic viability of smart buildings. 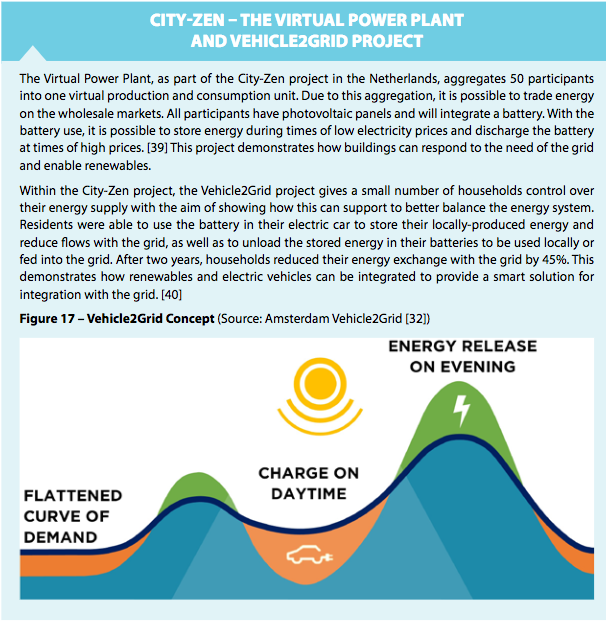 In page 29, there is a focus on City-zen’s projects : virtual power plant and vehicle2grid. The analysis finds that “smart infrastructure” is not yet in place. Only three countries, Sweden, Finland and Italy, have completed their deployment of smart meters, with nearly all consumers equipped with smart meters. Several countries have started their deployment, but progress is slow. EU legislation could play a more effective role to encourage the roll-out of ‘smart infrastructure’ by enabling an electricity market with flexible pricing, empowering consumers, and increasing renewable energy production, self-consumption and storage. The technological development will enable buildings to play a pro-active role in the energy system, providing also benefits for the occupants. But first and foremost, buildings have to be energy efficient as a prerequisite for a smart building stock. “As consumers are at the centre of the EU’s legislation for a low-carbon, healthier and more comfortable building stock, they should be empowered to take control over their energy consumption and production. Smart and efficient buildings can deliver direct benefits for citizens in terms of lower energy bills and more comfortable homes, and wider benefits for the European economy triggering innovation and creating new job opportunities.” says Oliver Rapf, Executive Director of BPIE. Considering that European countries are far from being smart-ready, the introduction of a smartness indicator in the “Clean Energy for All Europeans” package is welcomed, but needs concretisation and monitoring to lead Europe towards a smart and decarbonised building stock by 2050.